In addition to the on-site activities and local shopping and dining, there is no shortage of things to do in Charlottesville. During your stay at Boar's Head Resort, you can embrace the outdoors on a hike through the Blue Ridge Mountains, tour one of the area's excellent museums, gain a new perspective during a hot air balloon ride, and much more. This long, beautiful park encompasses part of the Blue Ridge Mountains, with the broad Shenandoah River and valley on the west side, and the rolling hills of the Virginia Piedmont to the east. 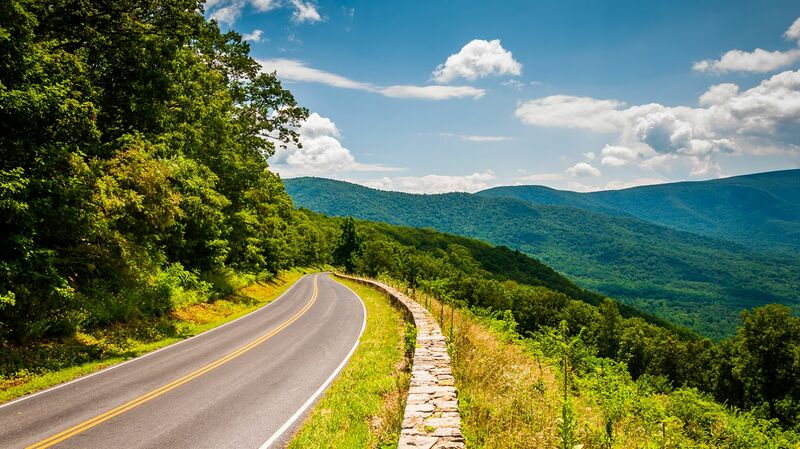 The most prominent feature is the scenic Skyline Drive, and approximately 80,000 acres have been protected as part of the National Wilderness Preservation System. Travel south to Scottsville, VA and the winding James River to enjoy a variety of water activities, including tubing, canoeing, kayaking, fly fishing, and more. Schedule a lesson or book your guided fly fishing experience at Boar's Head; call 434.972.6091 for complete information. Located an hour drive from Charlottesville, Wintergreen Resort in the Blue Ridge Mountains has 12 slopes, with six illuminated for night skiing. Open daily in season, this beautiful mountain retreat also features a terrain park, ice skating, and Ridgely’s Fun Park for Kids and Families. There is no shortage of culture to be consumed in Charlottesville. The thriving local art scene includes art galleries and museums that showcase the work of both up-and-coming and renowned artists. From The Fralin Museum of Art at the University of Virginia to the Walton’s Mountain Museum in Schuyler, VA, there’s truly something for everyone. Beyond the museums, Charlottesville also offers plenty of unique performing arts and music venues. Head to the John Paul Jones Arena for live musical performances from the likes of P!NK and Keith Urban, or check out the Culbreth Theater at U.Va. for dramatic plays, musicals, and more. For complete information on Charlottesville activities and attractions, please contact Guest Services.